Boxing fans in Negros Occidental gear up for exciting fighting action as unbeaten tough Cebuano Ariston Aton (7-0, 4 KO's) climbs the square ring to engage in combat local warrior John Michael Zulueta (9-0-2, 3 KO's) for the vacant IBO Oceania and Oriental Minimumweight title this coming Saturday, March 30, at Gaisano Grand Mall in the City of Smiles, Bacolod. Both unbeaten fighters come from scoring victories in all their bouts during last year's campaign, aiming at extending their success into 2019. Winning the IBO regional title will most definitely propel forward the boxing career of the winner. 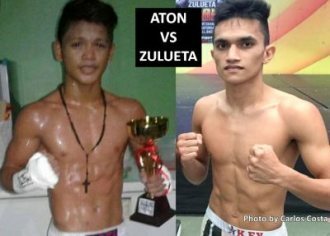 In his last clash, the hard-hitting Ariston Aton, 19, of the popular Quibors Boxing Stable in Bacoor, Cavite, outclassed "The Eagle" Jestoni Racoma in a unanimous verdict last September; while the skilled John Michael Zulueta, 23, decisioned Mike Kinaadman in October to retain his Asian Boxing Federation (ABF) Minimumweight Strap. Who will emerge victorious in this one? The exciting IBO title fight starts the 2019 boxing season in the greater Bacolod area -- hometown of former four-division world champion Donnie Nietes -- and a good number of enthusiastic fans are expected to attend the thrilling show. In another rumble, Rodel Sioco in his second pro fight collides against boxing debutant Ronil Komilyo Antique in a 4-chapter saga in the super flyweight division. Plus, local Bacolod fighter Ricky Delos Santos, 19, engages tough rookie Romeo Anselmo Antique in a scheduled four-rounder in the lightning-fast 108-pound weight class. Also seeing action is veteran globe-trotter fighter former WBC Int'l light flyweight champion Richard Claveras (18-6-2, 15 KO's) against a foe still to be appointed. 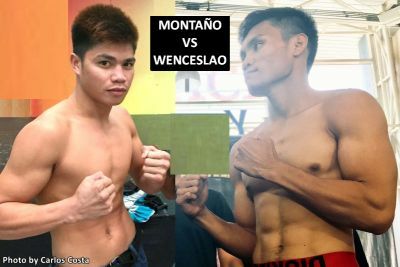 In welterweights, 22-year-old southpaw Joepher Montaño (9-4-2, 8 KO's) of nearby Bago City, Negros Occidental, trades blows against the more experienced Rodel Wenceslao (13-17-2, 5 KO's) of Kananga, Leyte, in a non-title eight-rounder war that promises fireworks. Fight Supervisors for the entertaining event will be Donna Mae Martir, head of the Games and Amusement Board (GAB ) Bacolod Office and Steve Scott, Vice President of the IBO for Asia Pacific. Also In attendance will be Asian Boxing Federation (ABF) executives Naris Singwancha and Surapoj Pongchiwanich of Thailand. 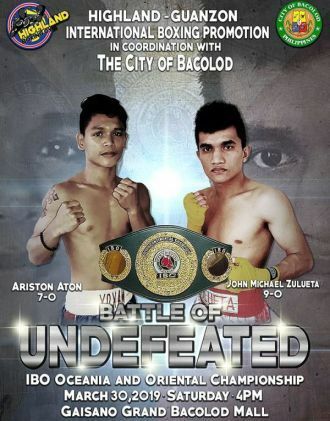 "Battle of Undefeated: Ariston Aton vs John Michael Zulueta" for the IBO Oceania and Oriental Title is a production of award-winning promoter Brico Santig of Highland Boxing Team in association with veteran man of boxing former GAB Chairman Juan Ramon Guanzon, and Thailand boxing patron Naris Singwancha, director of the Singwancha Foundation. The first fight starts at 4 PM, all aboard. The author Carlos Costa is a Panama boxing reporter living in the Philippines. Carlos can be reached by email carlos512@hotmail.com and whatsapp/viber: +639184538152.